My grandad Jackie had the sweetest tooth known to man, he had porridge for breakfast which without fail was coated liberally with sugar. So when ever they used to come and stay with us down in the sticks my mam would have a few weeks worth of desserts made in anticipation of this love affair with all things sweet. One dish that sticks out in my head is an orange loaf, just the smell of fresh oranges triggers that food memory for me. 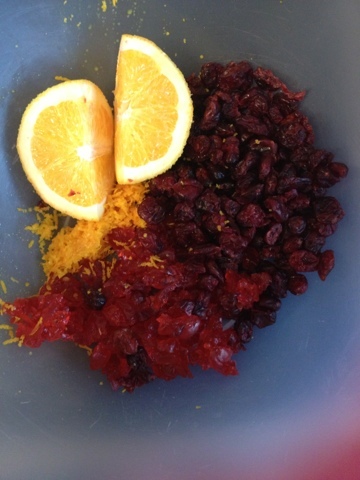 In a bowl pop in the chopped cherries and cranberries, the zest and juice of the orange. Give this a good mix then sprinkle in the sugar. 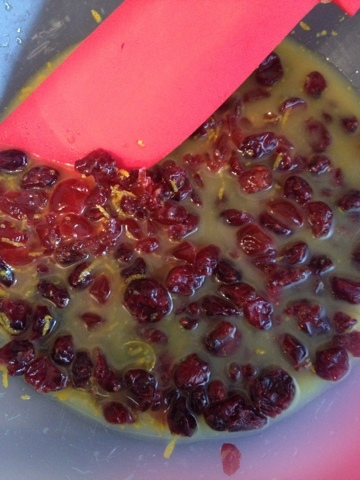 Set aside for minimum 1/2 hour this will give the cranberries a chance to get nice and plump from the juice. In a separate bowl sift in all your dry ingredients, once that's done pour in your oil and a whisked egg and combine. 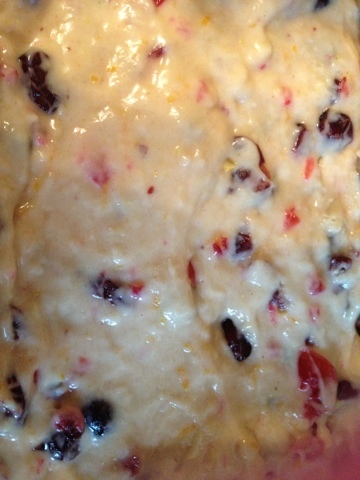 Next mix the two bowls together with a wooden spoon, this is a wet mixture which in turn will give you a fab moist loaf. 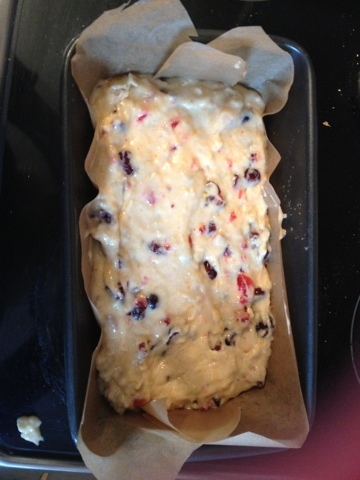 You will pour your mixture into a pre lined 2lb loaf tin and pop into your oven which will be pre heated @180' for 30 minutes. For this loaf you want to check and check again with your skewer that it has baked fully as there are a lot of wet elements to it. 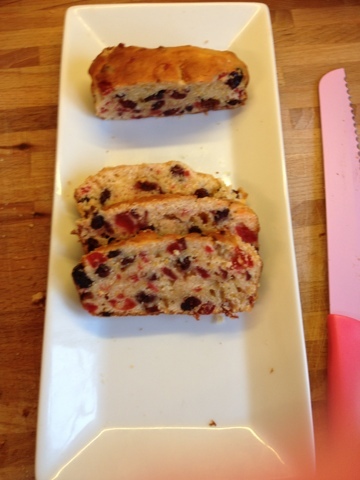 Pop on the kettle and cut your self a few slices and enjoy Sooooo good.